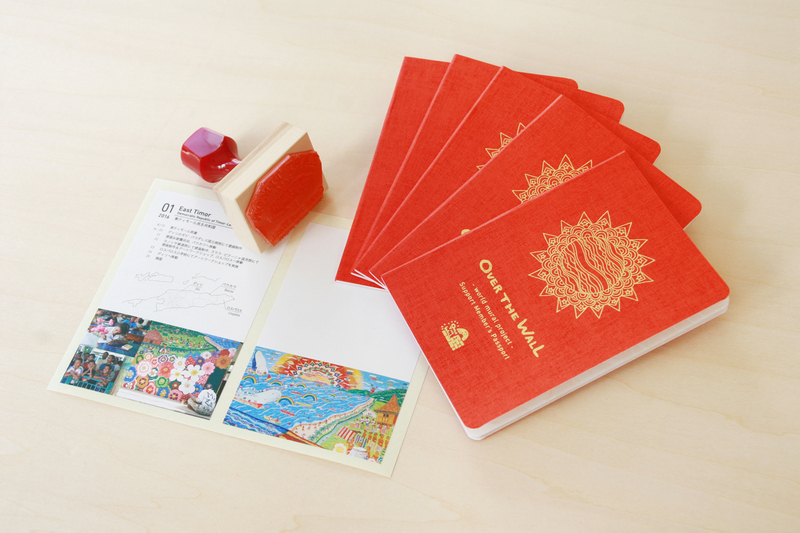 Now when you become a supporter you can receive a special original passport! 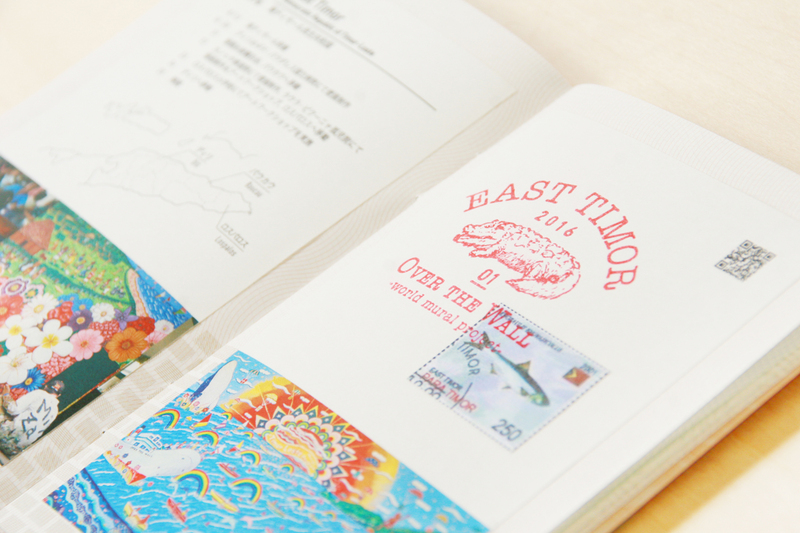 Why not take a special trip with this passport connecting all the murals around the world ? The pages feature wall graphics. 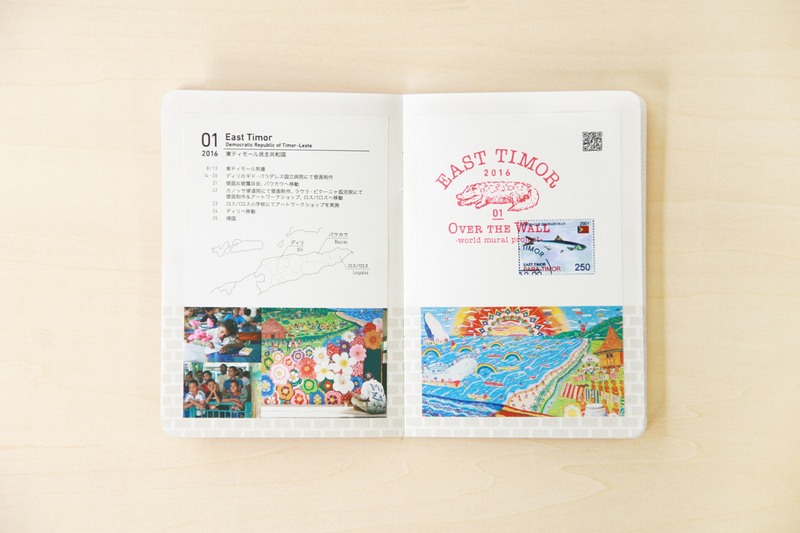 Use the mural stickers that have a picture of each mural and project information to connect together all the countries in the passport. Extra pages are included to record your own information and you can enjoy seeing the bigger picture by using the world map to mark the countries where murals have been created ! The attractive cover made from Tant Select embossed paper has an almost fabric-like appearance and the gold engraved lettering adds luxury. 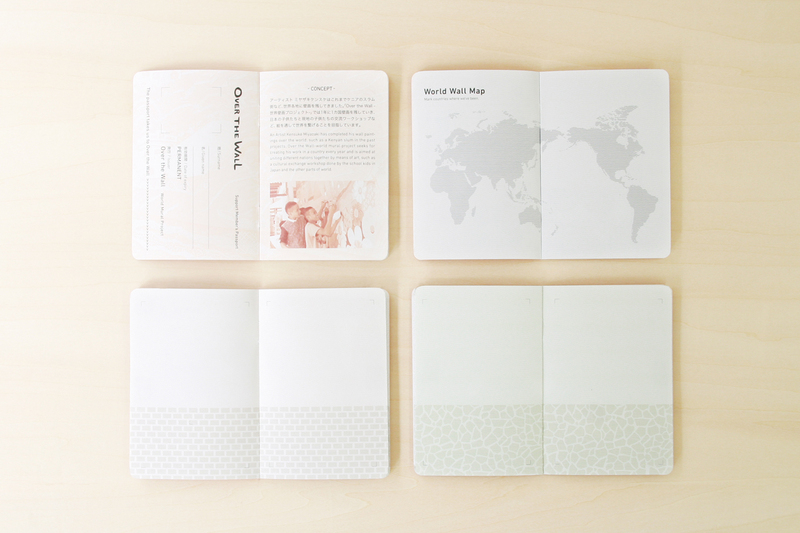 You’ll find yourself wanting to reach out and pick up this passport to get a real feel of its quality. Special care has also been paid to the construction of this passport by using a type of saddle stitch binding, then adding the pages afterwards. 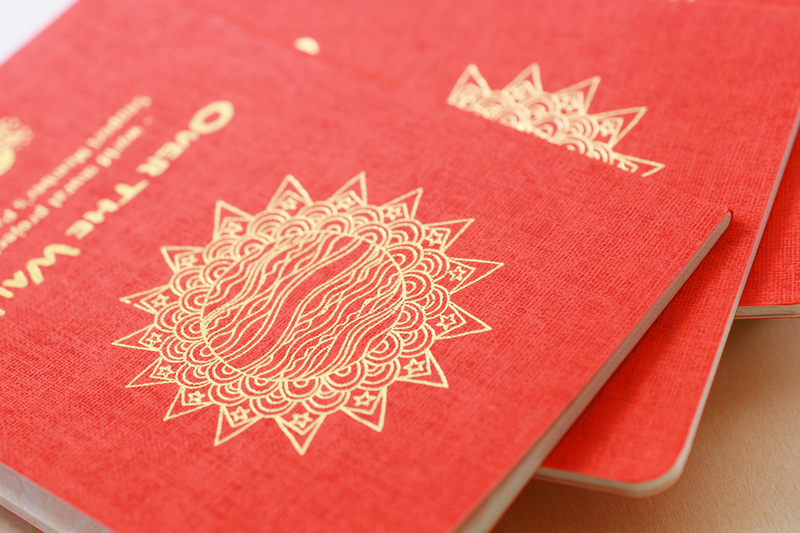 Each passport has been carefully crafted with the binding and cutting both done by hand. This type of binding also means that the staples on the spine are concealed, giving the passport a smart finished look. Also included are original ink stamps and postage stamps from each country, which are only available through the Over the Wall project.